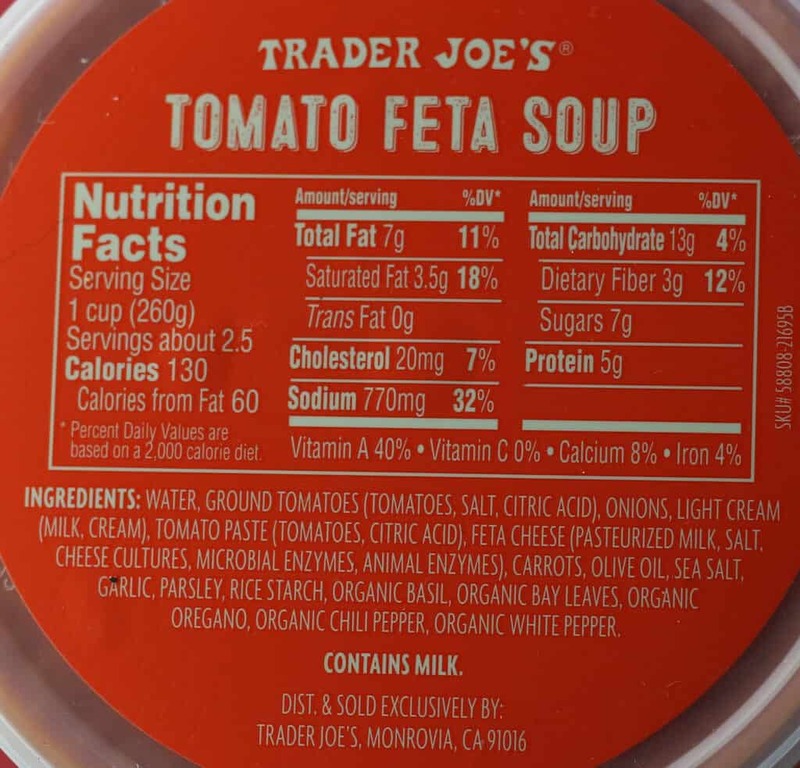 The pros: Trader Joe’s Tomato Feta Soup is a very tasty and fresh tomato soup that is nothing like the canned variety. The cons: The taste of the feta cheese didn’t come through the other flavor here. The verdict: For $3.99 you get a soup container that has 2.5 servings. If you expectations are in line with canned soup, you’ll never want to go back anything but this. 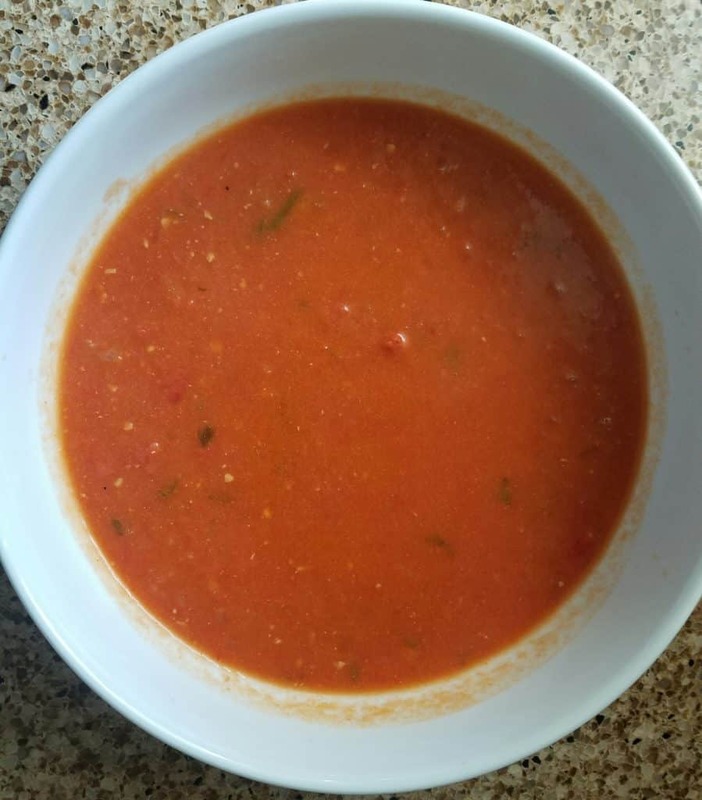 If you’ve had Trader Joe’s Organic Creamy Tomato Low Sodium Soup you’ll notice that it’s very homogenous and there isn’t much texture. What you are getting here is a tomato soup that you can distinguish all of it’s ingredients. You’ll see the little bits of tomato, onions, garlic, carrots and herbs. You’ll see small pieces of feta cheese, but the flavor of the creme was more pronounced. 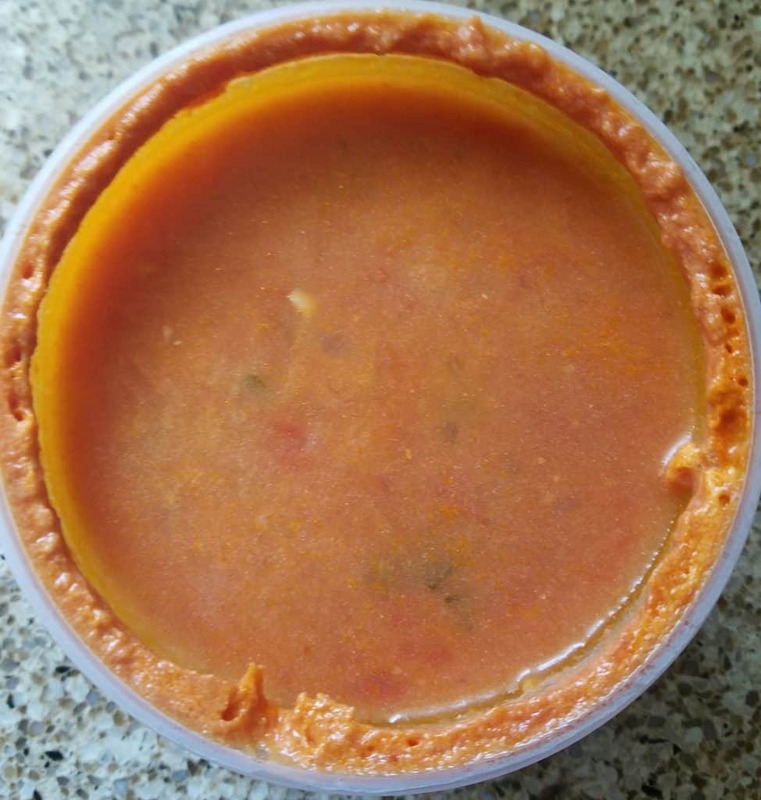 The consistency of the soup is thicker than the canned but not thick enough to feel like you are eating a sauce. It’s as close as you can get to being homemade with the herbs that are used here. I found the salt level to be just fine but may need to be adjusted based on your personal preference. Could it be improved? Only if they used San Marzano tomatoes. Even then the tomatoes they used weren’t overly acidic. If you enjoy tomato soup, this is a pretty good one to reach for. Would I buy this again? Yes. 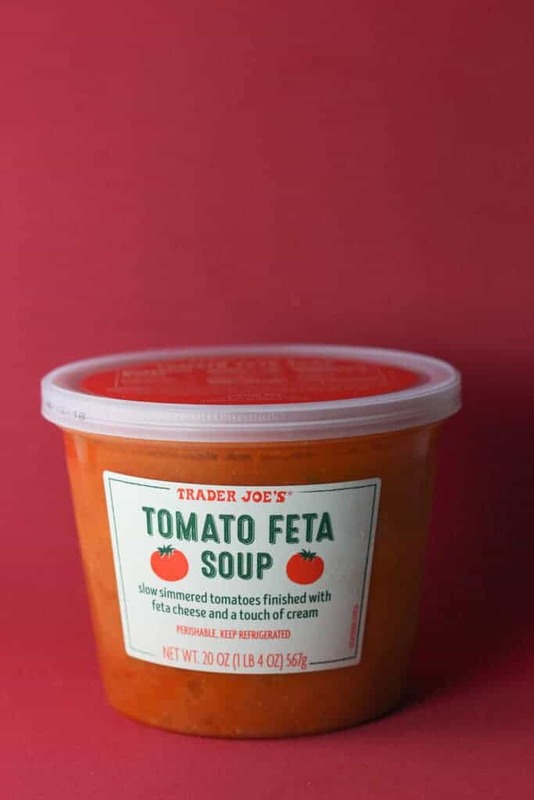 I’d reach for Trader Joe’s Tomato Feta Soup first before reaching for Trader Joe’s Organic Creamy Tomato Low Sodium Soup. If I needed shelf life then I’ll reach for the boxed variety. THe best Soup Tomato Feta, actually tremendous taste! I like this one too! Thanks so much for stopping by!